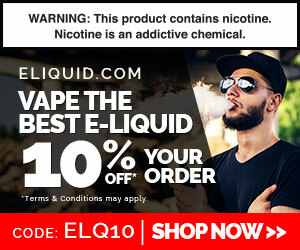 The Nicotine River Difference: Â Nicotine River is a trusted 36mg/ml liquid nicotine supplier to e-liquid producers and manufacturers around the nation. In addition to NicSelect, we proudly offer many other products such asÂ Vegetable Glycerin, Â Propylene Glycol, Â Nicotine Salts, Â PEG 400, Â FlavourArt, Â Purilum, Â Capella, Â Flavor Apprentice Â and much more!Blends are batch tested via GCMSAll bottles are nitrogen packedNicotine is in white HDPE opaque bottlesNicotine solution is USP gradeAll bottles are foil sealedAll blends are made to order freshNicSelect is Reach Approved for EUNicotine is Kosher Certified 14-day money back guaranteeNicotine is stored at -10 degrees FahrenheitNicotine River: Â OffersÂ NicSelectâ¢ a vaping-grade,Â unflavored e-liquid nicotine produced by Alchem International, an internationally-recognized phytochemicals company with a FDA-approved manufacturing facility.Â Discerning vaping enthusiasts know that the quality of ingredients in nicotine e-liquids impacts the flavor.Â NicSelectâ¢ is the most authentic, stable brand on the market today. It has a very faint flavor with a gentle throat hit and blends well when mixed with other ingredients such as flavorings.Â NicSelectâ¢ meets and surpasses US Pharmacopeia (USP) standards.Â When you choose NicSelectÂ®, rest assured youâre choosing the freshest, purestÂ e-liquid nicotine extracted from pesticide-free tobacco plants â this is not a synthetically-produced e-liquid nicotine solution.Â NicSelectâ¢ is packaged in white, opaque HDPE plastic which preserves the diluted e-liquid nicotine at its peak of freshness and prevents environmental exposure from breaking down the active components.Â Please see below why NicSelect has a clear advantage over every e-liquid nicotine company on the market.Â If youâre wondering where to buy e-liquid nicotine, Nicotine River is the trusted choice.NicSelectâ¢ and REACH Compliance: Â Registration, Evaluation, Authorization, and Restriction of Chemicals (REACH) is aÂ European Union regulation dated 18 December 2006.Â It is regarded as one of the most significant EU legislative actions in the past 20 years. It puts the onus on businesses to show that the chemicals it uses or produces areÂ safe.Â REACHÂ addresses the production and use of chemical substances, and their potential impacts on both human health and the environment.Â The legislation aimsÂ to improve the protection of human health and the environment through a system of controls. Thousands of chemicals in common use have not beenÂ healthÂ tested.Â NicSelectâ¢ meets or exceeds the guidelines set forth in this important regulatory document.Why Choose NicSelectâ¢? Â There are many reasons that knowledgeable e-liquid producers and vaping enthusiasts choose NicSelectâ¢. For producing e-liquids with nicotine, there is no better on the market than this product.Â It is naturally extracted from tobacco plants, and never synthetically produced.Â Â The manufacturer, Alchem International, is a reliable supplier that exports and stocks NicSelectâ¢ e-liquid nicotine in the U.S. and Europe.All NicSelectâ¢ bottles and packaging are labeled with the manufacturer name, contents, expiration date, safety, quality, and inspection details.Â It is manufactured to the highest standards and is known for its exacting consistency.Â NicSelectâ¢ is securely packed into leak-proof, airtight containers as soon as it is made to retain its freshness and quality.Â Approved Nicotine River customers have a wide variety of sizes and blends to choose from.Â Vapers can really tasteÂ the difference in NicSelectâ¢. Better ingredients mean better flavor, and higher purity means a smoother throat hit.Â Disclaimer: E-liquid nicotine, in liquid and solid form, is a known poison. It is imperative to practice extreme care while handling.Â Nicotine Dangers:Â Nicotine is highly toxic. Nicotine is very addictive. Always avoid contact with skin. Nicotine is very toxic if swallowed. E-liquid is very toxic to aquatic organisms.Â Nicotine Safety:Â In case of contact with eyes, rinse immediately and thoroughly with water and seek full medical advice immediately. In case of contact with skin, wash immediately and thoroughly with soap and water. If Nicotine is swallowed, seek medical attentionÂ immediately. In case of an accident, or if you feel unwell, seek full medical advice, and show this information to your doctor.Â Disposing of Nicotine:Â Both container and E-liquid contained within must be disposed of in a safe way, with due care to both man and the environment.Â Use appropriate containment for your E-liquid, to avoid environmental contamination. For more information on nicotine and advice on storing and using, please visit ourÂ Nicotine Knowledge Â page.Product Name: Â Natural Nicotine SolutionReach Number: Â 17-2120044620-68-0000Origin: Â IndiaKosher: Â CertifiedCAS#: Â 54-11-5Chemical Formula: Â C10H14N2Purity: Â 100.1% – 100.5%Color: Â Clear to Pale YellowSDS & COA SHEETS Â -Â REACH COMPLIANCE Â -Â FDA LETTER Â Nicotine River is licensed by the State of California to sell and distribute tobacco products.Â MANUFACTURING LICENSE : LT#090300744 /Â DISTRIBUTION LICENSE: Â #LDQSTF90-007780 /Â RETAIL LICENSE: Â #091388152Â CALIFORNIA PROPOSITION 65 Warning: Â Nicotine products contain a chemical known to the state of California to cause birth defects or other reproductive harm. Do not use if you are pregnant, and/ or breastfeeding. These products are intended for use by persons 21 or older, and not by children, women who are pregnant or breastfeeding, or persons with or at risk of heart disease, high blood pressure, diabetes, or taking medicine for depression or asthma. If you have a demonstrated allergy or sensitivity to nicotine or any combination of inhalants, consult your physician before using this product. This product is sold purely for recreational purposes â it is not a smoking cessation product and has not been tested as such.